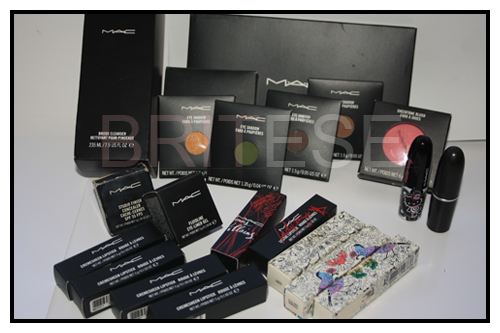 It's not a big collection, but since we don't have a MAC Store in Malta, Whenever i get the chance to grab me some products i try and get as much as i can that i can afford. 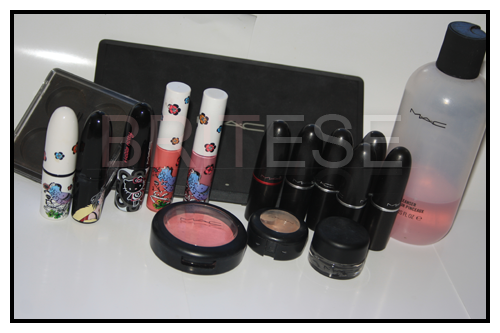 As you can all see, my main products are lippie's!. 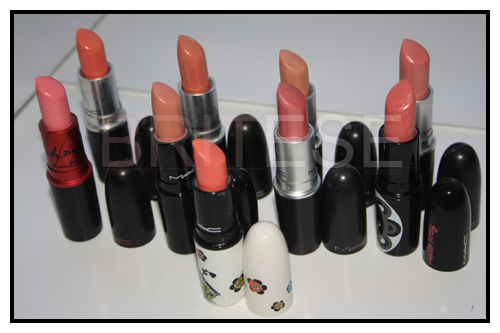 I Just love the MAC Lippies soo much! The smell of vanilla and the pigmentation of these Lipsticks are by far the best i have found and also moisturizing which is a big plus. My Collection started at the end of '09 when i first purchased 3 single eyeshadows, a 4 empty palette and a studio finish concealer in nw20. From there it grew slowly, i got a couple of products from italy, upgraded my 4 empty palette to a 15 one to expand my eyeshadow collection in the future. With Lipsticks I started collecting them one at a time, half of my collection are limited editions that ive collected with innocence beware from venemous villans, cute-ster from hello kitty, ever hip from the liberty of london, jazzed from the in the groove. Besides those i do own some from the permanent line. The only sad part from all this, is that i wish they were sold here, The variety MAC have and collections that they come out with every month, draws you in and you get the whole colour wheel to choose from. @Grace - ive always had my eye for MAC and i was amazed by the pigmentation and staying power.. start with a lippie and go from there is my suggestion, you'll love it!